Working from home is not suited for everybody, but as I am promoting it here on this site I will hand you some tips so that you better know what is coming your way. Working at home seems to be ideal for some people, some others will be scared to start this. Anyway, many of them will soon come to know that it is not always so ideal, as working from home is unfortunately not without pitfalls. For example, have you ever thought about it how it is to be alone all day? I thought that if you want to go this way that you better know what to expect. This is a summary of pitfalls of working from home and some handy tips to overcome them. Also see my extended article with tips, characteristics and handy facts to be successful from home here. 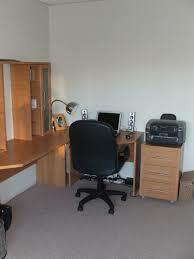 Loneliness is one of the common complaints of people who work regularly from home. It is also something that many entrepreneurs or employees, before they start working from home, severely underestimate. They assume that working from home entails only benefits. But an isolated environment does not do anyone much good. It can have an inspiration killing effect on you and your productivity. To avoid this, you can make lunch appointments, networking meetings, or attend an afternoon coffee from your favourite works. This way you build social elements into your daily routine and avoid getting your home to be an abomination to work. Especially in the case of starting entrepreneurs having to work from home, they sometimes feel that they cannot stop work just like that. If it’s six o’clock, they still continue. It also happens that at eleven in the evening they still just grab the laptop for a few hours for working at night, because then they will be less distracted. But continuing to work in this way can just like that produce a burnout. Work from home suggests that you may be busy at any time of the day, but you really do not need to do this. Put yourself down on a clear schedule and try to follow that scheme. Of course working from home allows you some flexible hours, so if you prefer to work only from eleven o’clock in the morning or a couple of hours at the end of the day, then you should do so. At other moments you should just leave the work and relax. If you work from home you have no boss looking over your shoulder or colleagues who you may or may not consciously monitor. At home you to tend to quickly pick up a private phone call, to open the door for the postman, to put the garbage out, do the dishes, watch your favourite soap and let your dog out. But if you are always so distracted, it becomes increasingly difficult to focus on your work. Prevent this by setting periods throughout the day in which you absolutely do not do anything that has nothing to do with work. Handle no personal emails, carry no private conversations and not leave the house if it is not necessary or urgent. Make your house mates also known of these rules not to disturb you during working hours. In the office, you will be talking to colleagues especially about business things and less about your personal life. Therefore at home it should be the reverse. Only not every homeworker sticks to this, because they will soon talk about business problems with their partners, friends or room-mates. And they can at some point very soon get bored. And what is more, they probably are not capable enough to provide you with good business tips. What you can do in such cases is to build an (on-line) network with other homeworkers in your industry or area of ​​interest, so you can talk to them about business things and you can talk to your room mates just turn on the normal things in life. Or you can join the WA community, who will take care of this aspect. Because you are working from home, you could have a tendency to feel extra homely when working. Because why would you sit neatly at a table when you can work with your laptop from bed? And why would you sit in the den if you could be on the couch with your laptop on your lap and a pot of coffee on the coffee table? Because it distracts! So as soon as you begin, try to focus on working from home in a special room in your home as a workplace, and try as often as possible to work from that space. Working in the kitchen is nice, but there is plenty of noise in and around it. When you have been busy all day then at the end of the day you will have created a bit of a mess. Papers are scattered about the room, coffee mugs stand on the table and your work mobile is likely to be hidden somewhere in the corner. And if you run a business from home and you employed some workers then more people can make a mess! In that case, you do well to, from the first day that you work from home, establish rules for yourself and your employees. Let them clean up properly, so that you do not need to worry bout that after work. A clean workplace does wonders! While the work piles up, it is treacherous to let go of the organisation and administration of your business. The lack of organisation can play up if you are working in the same area where you live and if you also have to share it with colleagues or visiting customers. Clear papers as soon as possible and hold only work-related stuff in your office. And of course you should not leave your work stuff in the living room or bedroom, because your organisation will be gone. If you go to an office with colleagues or a boss, you’ll be on a fairly clear schedule. If you work at home you might not have that. In the morning when you wake up you decide to start right away or whether you will take a nice shower and breakfast first and then work. 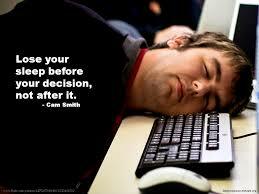 But working this way can lead to to doing what was in your plans to do. Try to avoid this by making your short-term plans and long-term plans in clear and plain written notes, so you always have it on sight. 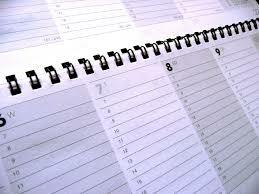 Do not just work according to to-do lists, but put those tasks also on your calendar and put a deadline on. Do not forget to schedule a time of day when you can perform unexpected but important matters. I hope that this will help each of you coping with challenges coming when you decide to start working from home. If you can learn to deal with these pitfalls, you could be in for the time of your life. Making your own schedules, no more travelling time to and from work, no traffic jams, no parking problems, no more boss looking over your shoulder and many more. One of the best opportunities to start working from home is Wealthy Affiliates, I have reviewed it here. Feel free to leave a comment or ask questions and I will come back to you within 24 hours.